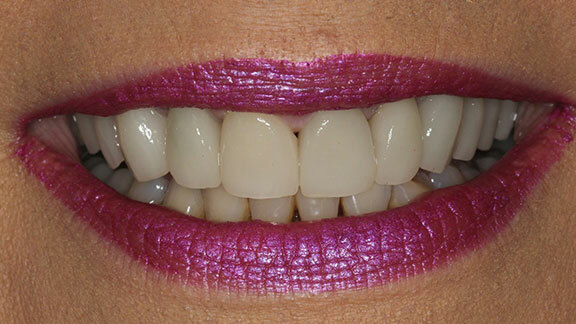 For many patients missing teeth in a full arch, traditional dentures have long been the most convenient and cost-effective solution to restore a portion of original chewing power, smile aesthetics, and self-confidence. Ordinary dentures, however, are not the most ideal long-term solution to missing teeth and pose a few issues when worn over a longer period of time. For patients who may already be discovering these issues, such as their denture’s instability, we offer multiple permanent full-arch solutions stabilized with contemporary dental implants. 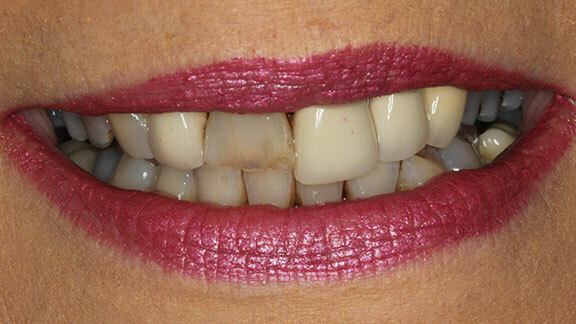 Many patients choose implant-supported dentures for their stability and aesthetic benefits. Missing teeth do not provide the jaw bone with the necessary stimulation needed to maintain proper volume. Dental implants, the most ideal solution for tooth loss, mimic how a tooth root functions while supporting a natural-looking dental crown. Dentures that are supported by dental implants no longer rest or rub on the gum line, shift or click, or need to be secured with messy pastes or gels. Whether permanent or able to “snap” on and off, implant-supported dentures give patients the strength and stability needed to feel confident and comfortable in their new smile. As cosmetic dentists experienced in the surgical aspects of placing dental implants, we understand the importance of planning and executing a treatment plan that is most beneficial to you, both from a functional standpoint and aesthetically. With our implant-supported solutions, you have the opportunity to receive a permanent solution that can restore health and beauty of natural teeth and improve your confidence! Revolutionary is in. Call us today!